With 27 years experience in the Central Florida marketplace, Andria Herr has a vast knowledge of employee benefits and group insurance. As the President of Hylant Orlando, Andria’s focus is to ensure the delivery of growth and profitability through exceptional service. Prior to Hylant, Ms. Herr served as the National President of AGIS, a full service insurance agency, where she was responsible for all five offices located in Florida, Indiana, and Michigan. Under her leadership, the Orlando office more than tripled in revenue and staff. 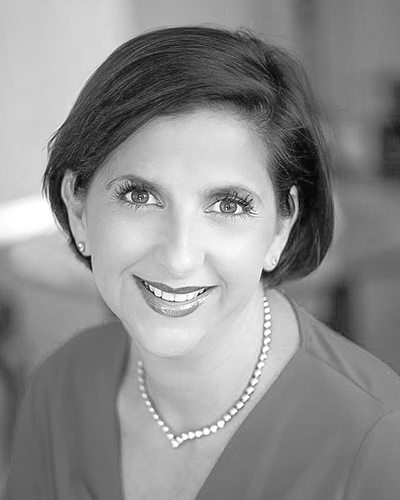 Before entering the broker side of the industry, she was Vice President of Sales for UnitedHealthcare and launched their first commercial products in Central and North Florida. She worked closely with government relations to assist with product filings; underwriting to develop pricing methodologies; and senior management to develop health plan policies. Ms. Herr is a graduate of Stetson University with a degree in Business Administration. She is a licensed Health and Life Agent. She was named one of the 40 under 40 and Women Who Mean Business by the Orlando Business Journal as well as the Orlando Women’s Executive Council’s Business Women of the Year. As an advocate for public education, Ms. Herr currently serves on the Board of Directors for the Foundation for Seminole County Public Schools and the Foundation for Seminole State College. She is the Past Chair of the Seminole County Regional Chamber of Commerce. She also serves on the Women and Girls Cancer Alliance Board and on the Women’s Advisory Board for South Seminole Hospital.